Urban Outfitters: No such thing as bad publicity? Urban Outfitters has a history of doing dumb things. That hasn't changed lately. Last month, the company was criticized for selling a tapestry that many thought looked too much like a Nazi concentration camp uniform. 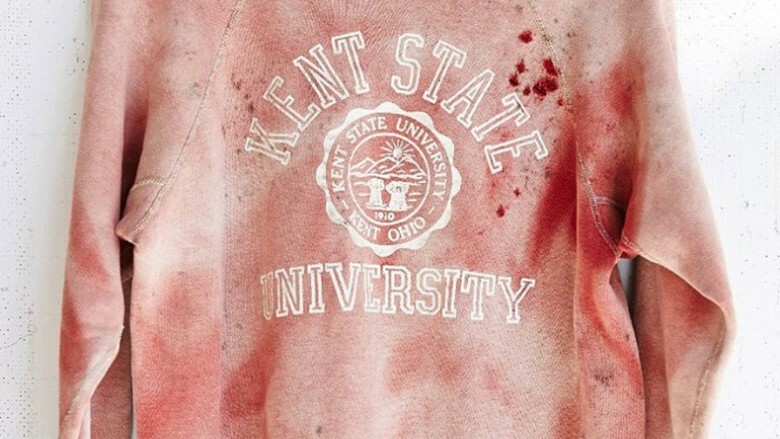 That followed two ridiculously insensitive pieces of apparel last year: a Kent State sweatshirt that appeared to have blood splatter and bullet holes on it and a drunk Jesus T-shirt in honor of St. Patrick's Day. Still, customers don't seem to be turned off by the controversies. And neither does Wall Street. 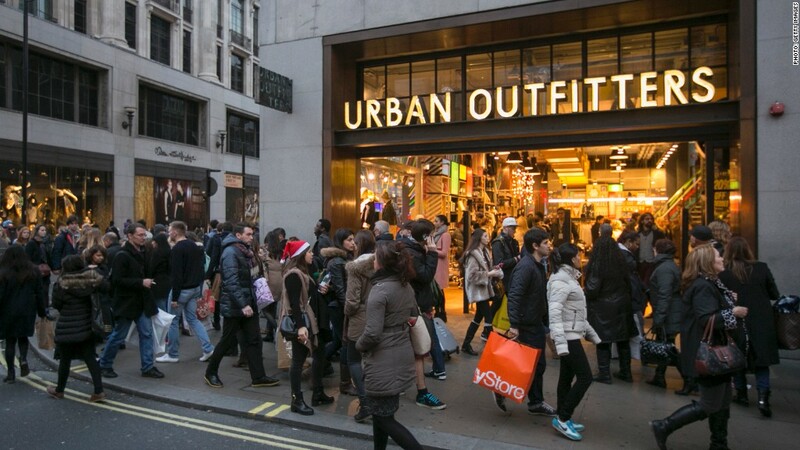 Shares of Urban Outfitters (URBN) surged 11.5% on Tuesday while the broader market suffered its worst day of the year. Why? The company reported record sales. Earnings topped forecasts. Urban Outfitters eventually pulled this sweatshirt from its online store. But was nobody at the company alive in 1970? The stock is now up 28% this year, making it the fourth best performer in the S&P 500. Quite the 180 turn: It's been an amazing comeback for Urban Outfitters. The stock fell in 2013 and 2014 due to concerns about a sales slump at its namesake brand ... even though sales were up at its Anthropologie Group and Free People stores. But the Urban Outfitters brand is thriving again. Same-store sales rose 4% in the fourth quarter from a year ago, reversing a 7% year-over-year decline in the third quarter. For the overall company, same-store sales were up 6% and total revenue increased 12% from the fourth quarter of 2013. Executives talked proudly during the company's conference call with analysts on Monday about how the Urban Outfitters stores were now attracting an older customer -- people in their 20s as opposed to more fickle teens. Shifting the marketing focus to a slightly older group of millennials seems to be a smart move. The teen retail industry is a mess. Wet Seal (WTSLQ) and Delia's recently filed for bankruptcy. American Apparel (APP), Aeropostale (ARO) and Abercrombie & Fitch (ANF) are hurting. Red flags really gone? So my hat's off to Urban Outfitters for getting back on track. For now, the turnaround story is intact. Customers are happy and so are investors. I still think the company needs to be careful though. Urban Outfitters did not address any of its PR mishaps in its conference call. The company was not immediately available for comment either. Of course, Wall Street won't worry unless sales start to slide again. But there is a risk that Urban Outfitters may finally go too far and alienate too many of its customers. I'm not easily offended but it seems that Urban Outfitters doesn't just cross the line of bad taste, it gleefully leaps over it with its tongue wagging.